Is it Time to Question Your Doctor’s Advice About Completing Your Antibiotics? Over my lifetime, I may have been prescribed antibiotics after dental surgery or to treat a bronchial infection. And I have always been instructed to take the full course of antibiotics prescribed, in order to reduce the likelihood of further infection and prevent the growth of antibiotic resistant bacteria. Perhaps you too have been told at some point in your life that stopping antibiotic treatment early encourages antibiotic resistance. So like me, when your doctor prescribes antibiotics you are probably very diligent in completing the course of treatment. After all, you want to get well and avoid infections. A recent report confirms this practice in many countries. “Public communication about antibiotics often emphasizes that patients who fail to complete prescribed antibiotic courses put themselves and others at risk of antibiotic resistance,” the report says. For example, patients are generally advised to “always complete the full prescription” even if they feel better, “because stopping treatment early promotes the growth of drug-resistant bacteria.” Similar advice appears in national campaigns in Australia, Canada, the United States and Europe. And in the United Kingdom, “it is included as fact in the curriculum for secondary school children,” according to the report. Well, turns out it is time to question your doctor’s advice about completing your antibiotic course. According to Martin J. Llewelyn, professor of infectious diseases at Brighton and Sussex Medical School and one of the main evaluators of the report, there is absolutely no evidence that stopping antibiotics early encourages antibiotic resistance. In fact, taking antibiotics for longer than necessary may increase the risk of antibiotic resistance. There is evidence that in “many situations, stopping antibiotics sooner is a safe and effective way to reduce antibiotic overuse,” says Llewelyn. He also says that “while daily review of the continued need for antibiotics is a cornerstone of antibiotic stewardship in hospitals,” there is no similar review by physicians outside the hospital setting. And that is where 85% of antibiotic prescriptions are written. “Outside hospital, where repeated testing may not be feasible, patients might be best advised to stop treatment when they feel better,” Llewelyn reports. Professor Llewelyn’s analysis further suggests that clinical trials need to be conducted to establish the best duration for antibiotic treatment. According to Llewelyn, "studies to identify minimum effective treatment duration simply have not been performed." I know all of this information can be intimidating and unsettling when you are being instructed to take a completely different direction from what you have been doing for years. So what can you do to be proactive? Partner with your doctor. Don’t be afraid to ask questions like, “Is this a bacterial infection or a virus?” Ask questions about which antibiotic you are being prescribed, if it is necessary and the dosage as well as any potential side effects. Strengthen your immune system. Your immune system is your body’s best defense mechanism against all kinds of illnesses. So don’t wait to get sick to start thinking about your health. Boost your immunity now so you get sick less often, can recover quickly and enjoy a healthy life. Eat a diet rich in fruits and vegetables to get the nutrients needed for a strong immune system. The following supplements may also help: probiotics, magnesium, vitamin C, vitamin D and other types of antioxidants. Find the root cause. Understand that antibiotics do not treat the cause of the illness and should be used only when necessary. Get appropriate testing done to ensure you know what is at the core of your issues. It may be something as simple as a nutrient deficiency that is causing a host of health problems, ranging from mild to severe. Replenish. Did you know that one type of antibiotics -- fluoroquinolones such as levofloxacin, ciprofloxacin or moxifloxacin -- can interact with calcium and iron, reducing available calcium and iron for your body to use? Whether you are taking antibiotics or not, it would be a good idea to get nutritional testing, so you can flag any deficiencies and know exactly what your body needs to be at its healthiest state. Being proactive is about educating yourself and knowing what you need as an individual. One of the greatest ways we can take control of our health is through nutrition. If we can avoid infections by having a healthy, hard-working immune system, we may not even need antibiotics. 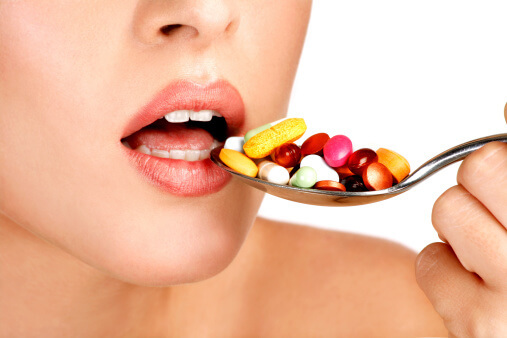 Read more about antibiotics here.